Pakistan. Compact ed. Delhi: Oxford University Press, 1983. Christidis, L., and W.E. Boles. The Taxonomy and Species of Birds of Australia and Its Territories. Royal Australasian Ornithologists Union Monograph 2. Hawthorn East: RAOU, 1994. Keith, S., E.K Urban, and C.H. Fry, eds. 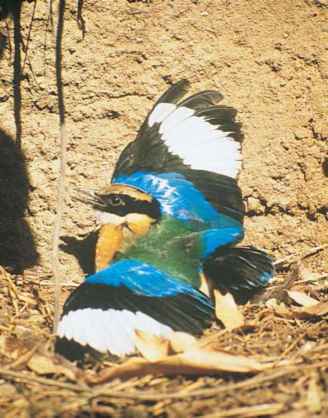 The Birds of Africa. Vol. 4. London: Academic Press, 1992. Sibley, C.G., and B.L. Monroe. Distribution and Taxonomy of Birds of the World. New Haven, CT: Yale University Press, 1990. Stattersfield, A.J., and D.R. Capper, eds. Threatened Birds of the World: The Official Source For Birds on the IUCN Red List. Cambridge: BirdLife International, 2000.